We moved into our house in May of this year, and I don't feel like any room is really complete. Until now. 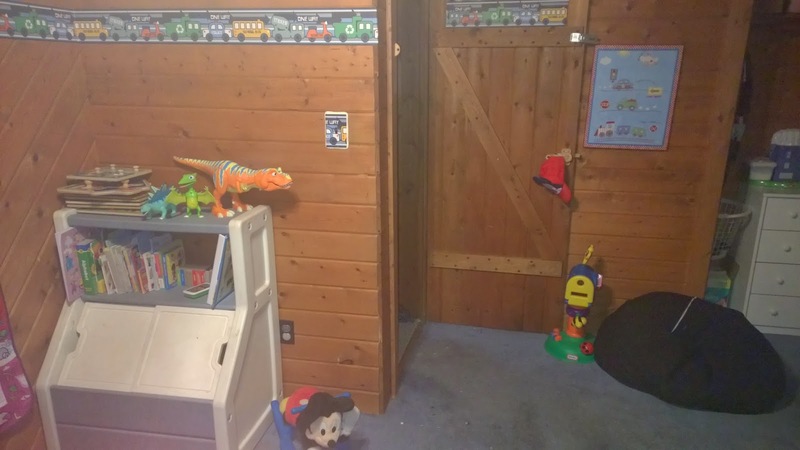 Mason's room is about the only room that has the right furniture and decorations. 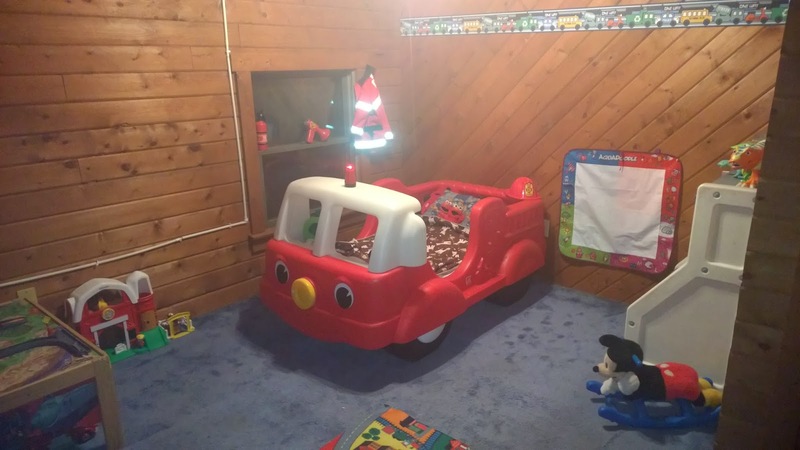 He is no longer in his crib and we got him this awesome firetruck bed. I also picked up some car border on clearance at Menards and a few car canvas prints also on clearance at Hobby Lobby. 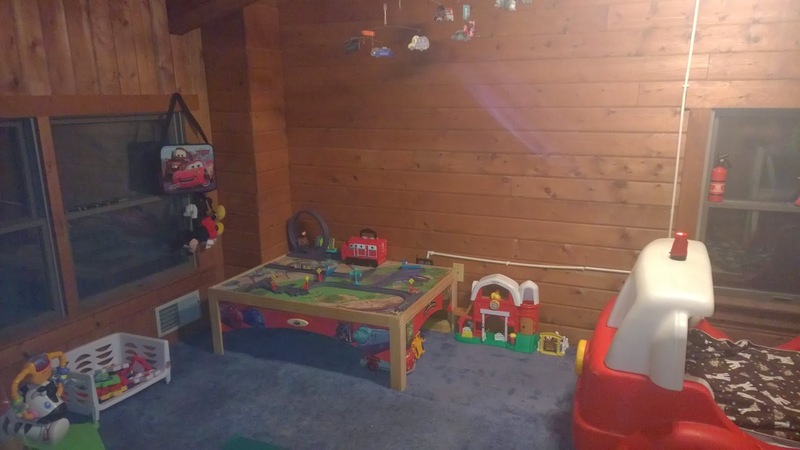 He does need new carpet like all the other bedrooms, but for now his room is complete. 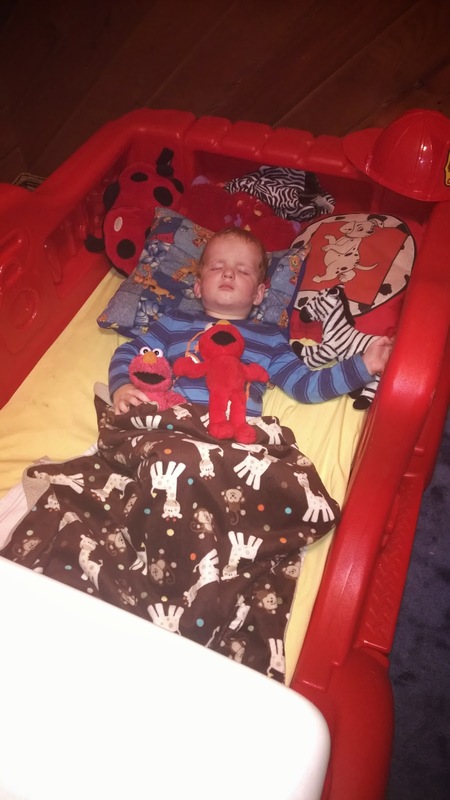 He does great in his bed and doesn't get out at night time or when he naps. He waits for us to come get him out, which is awesome. 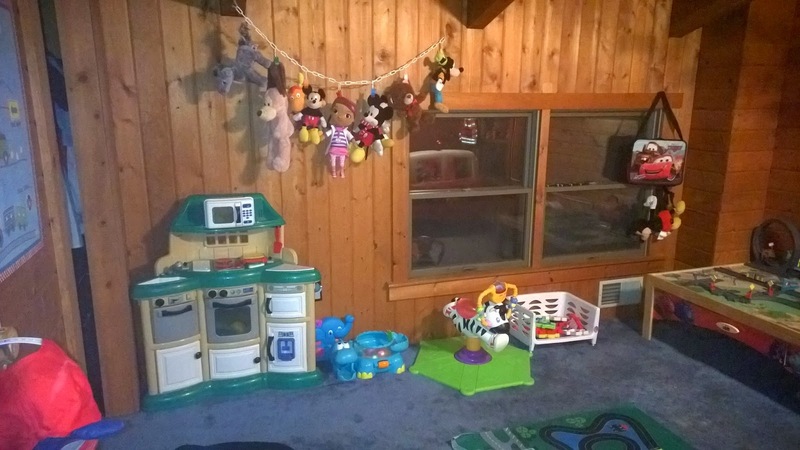 Next room to finish is Marley's and I have huge plans for her closet / soon to be art space. Can't wait to get started.